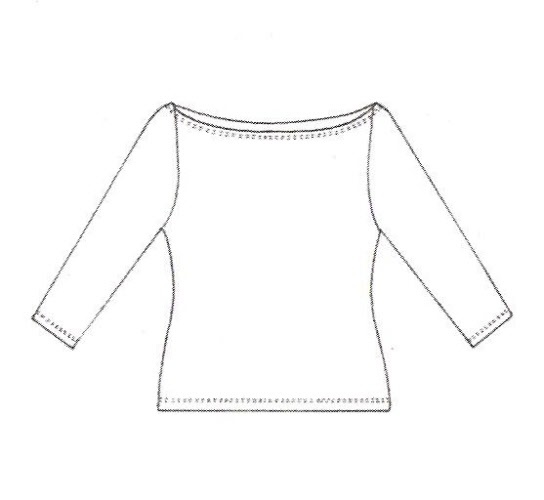 Paula Ryan great off the shoulder top with 3/4 sleeve in MicroModal. No longer Stock Service but I have white and black stock. Also available in shorter style - more elasticised at neckline...see Paula Ryan Summer Collections.